No matter what you do, or what is happening in your life, sleep IS important. My wife and I just recently had a baby girl, and as many of you know, it gets harder and harder to get a full nights sleep. Although you may not realize it, EMF’s dramatically affect the quality of our sleep. One primary reason for this was revealed in a study conducted by the Department of Electrical and Electronic Engineering at The University of Melbourne, that showed EMF’s impede the bodies production of melatonin, a hormone that regulates sleep and wakefulness. Interestingly, this happens because the pineal gland (where the melatonin is produced) senses the EMF’s as light, and therefore slows the melatonin production. For all these reasons and more, it is vitally important to create, to the best of your ability, a space that is low EMF, and conducive to restful, complete sleep. My wife and I have, and continued, to work hard at making our bedroom a sanctuary from the technologies around us. 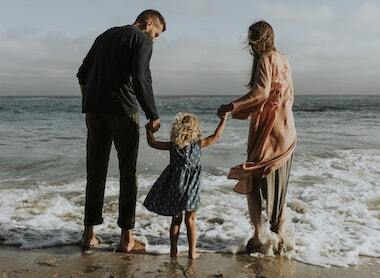 Although we can’t be perfect, because both of our jobs require technology, we’ve done our very best to make our home and bedroom safe for ourselves and our family. So I put together the best tips I’ve found, and that we’ve used, to reduce or eliminate EMFs in the bedroom. Also, I just want to mention that if you’re worried about EMF radiation, there is an E-book that I absolutely cannot recommend any higher called “The Non-Tinfoil Guide to EMFs” that I would really encourage you to check out. I didn’t write it, but it’s just one of the absolute best resources available. Not only is the EMF radiation from your cell phone extremely dangerous, and known to be carcinogenic, it also dramatically effects your sleep. At least in the United States, more than 50% of people sleep with their cell phone next to their bed, or under their pillow. There are plenty of reasons that this is horrible for you and unsafe; like the Texas teen who woke up to a burning smell, only to find out her Samsung phone had lit on fire and partially melted under her pillow. Not to mention that the blue light emitted as your scrolling through Facebook or Instagram right before bed inhibits melatonin production and keeps you awake. However worst of all, modern smartphones give off an enormous amount of radiation, and over time increase the likelihood of certain cancers like glioma. 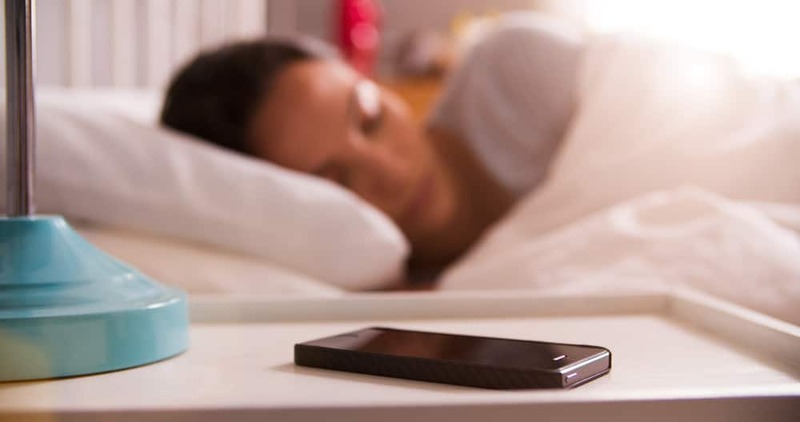 Cell phone radiation, as we discussed above, also makes it hard for our bodies to get restful sleep, and inhibits the bodies ability to fight off infection and heal the cells. Put your across the room, and set it for airplane mode. This will dramatically reduce the radiation it gives off by not allowing incoming or outgoing communications, but will still allow you to hear the alarm you set. Although turning off your cell phone is your best bet, the absolute best thing you can do is get in the habit of not even bringing it into the bedroom. If you bring it in but tell yourself you’re going to turn it off, you’re going to forget, a lot. You’re also going to justify why you need to have it on. Just leave it outside of the bedroom, and set a simple alarm clock. I’m not going to go into details about why this is important, because I already wrote a full article about what dirty electricity is, and why it’s dangerous. What I will say is that dirty electricity is something that affects nearly all modern homes, as most electronics cause dirty electricity by manipulating the wiring. This dirty electricity then produces electromagnetic frequencies that can be just as dangerous and sleep inhibiting as your cell phone. First of all, it’s a good habit to try and avoid bright lights in the couple hours before you go to bed, exposure to this kind of light has consistently shown to disrupt our natural sleep patterns, and affect our long-term health. More importantly though, try to get rid of-of CLF (compact fluorescent light-bulbs) in your home, but especially in your bedroom. Use the older style incandescent bulbs instead. Compact Fluorescent Light Bulbs use high-frequency AC electricity instead of the typical 60 Hertz that our most homes are wired for. This allows these bulbs to use energy much more efficiently, however, in order to accomplish this, the CFL bulbs use an electronic ballast to first convert the current high-frequency AC. It does this by “chopping up” the sine waves, which creates the spikes and surges that cause dirty electricity. Your best bet is to just get simple, older style incandescent light bulbs, you can see what is available on Amazon by clicking HERE. 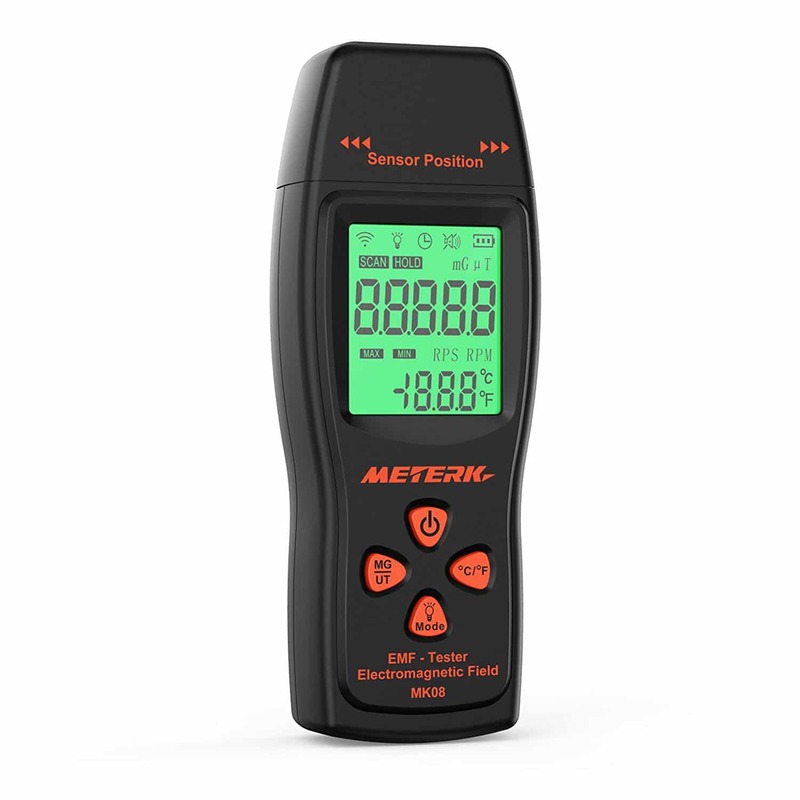 If you’re unsure about the amount of radiation in your home, or in your bedroom, you really should have an EMF meter. I picked up this one on Amazon, because it’s one of the better ones you can get, but there are many that will work for this purpose. Nearby cell towers and proximity will really determine the level, produce a ton of EMF radiation that does affect your home. I won’t go into all the measures you can take to eliminate this, but one thing you can do is pick up an EMF faraday canopy net to put above your bed. This might seem kind of extreme, but I can honestly say that if you have a cell tower near your home or your home has a ton of electronics and dirty electricity, you’ll probably be surprised how much better you’ll sleep and feel inside a canopy like this. The best solution for this, and hopefully you already have, is to simply get a memory foam mattress, or any other that doesn’t contain metal coils or framing. I have a mattress from Casper, but there are a ton of great brands out there, just search around google for whats right for you. Let’s be honest, it’s about time you replaced that mattress anyway, am I right? This one isn’t entirely EMF related, but you should really consider some blackout curtains for your bedroom. The darker you can get your room, the better more restful sleep you are likely to have. Hopefully, this will also help you to eliminate any pills you’re taking to help you sleep, as the long-term effects of some sleep aids are not well known, and side effects of long-term use are common. I get it, having a home without wifi is pretty hard these days, In fact, I have a wireless router in my home. Although Wifi certainly adds to the amount of ElectroMagnetic Frequency radiation in the home, I try to only have it on when it is absolutely necessary. When my wife or I am home at our desks, our computers have hard-wired internet, but there are occasions when we have company that we’ll turn the wifi on for the comfort and convenience of our guests. When it comes to sleep though, make sure you turn your Wifi off before you go to bed. It adds dramatically to the amount of radiation pollution in your home, and the safest thing to do is unplug it until you need it again, as most routers turn the wifi back on by default when they have power. Most of us have electronics all around us, and understandably so. Many electronics provide us with comforts and conveniences that we couldn’t have without them. When it comes to your bedroom, try to make it a sanctuary from these devices. Many, if not most, electronics that plug into the wall, have screens, or have circuitry boards, are going to give off some sort of magnetic or EMF radiation. Limiting yourself and your families use of these is ideal, but especially when you are sleeping, try to keep these out of the bedroom. Where my wife and I live, our bedroom is in one corner of our house, about 15 feet from the edge of our closest neighbors home. We’ve taken many measures to protect ourselves and get better sleep, but what do we do about our neighbor’s dirty electricity, wifi, and other radiation pollution? The most important step you can take is talking to them, explain to them some of the dangers of wifi and other electronics, and see if they would be willing to take some of the steps you’ve taken to protect themselves. This, in turn, will help you and all others around them. Knowledge is power. I put this one near the bottom because for many this isn’t an easy one. If your wifi router is near your bedroom, it’s much easier to move the router to the other side of the house, and rewire the cable for it. However, if you’re breaker box is right above, below, or next to your bedroom, consider moving to another bedroom if that is possible. If it’s not, at least consider re-arranging the room so that your head is further from these dangers while you sleep. Finally, a more extreme, but worth trying idea. My wife has headaches sometimes, and she often wakes up with them. For a while what we did is right before bed, we turned the circuit breaker off for just our room, to be sure there would be no electronics causing grief and get a restful nights sleep. I can’t speak for how this will work for everyone, but it did help my wife sleep better. Part of me thinks that it might have just been the peace of mind in knowing there wasn’t electricity flowing all around us while we slept. It kind of felt like we were off at a cabin somewhere, getting away from it all. If you’re unsure which breaker is the right one for your bedroom, just go through them one by one until the light in your room turns off, bingo. I really hope you found this information, and this list helpful. I put this together partly for my own benefit, a small collection of things my wife and I have tried in order to get better, healthier, safer sleep. Leave a comment if there is anything I should add to the list! I have found your text informative.